This Minecraft potions brewing guide, will take you through all the steps to make potions in Minecraft. To get started with your new potions lab, you need to craft are brewing stand. Head over to our crafting recipes, you will always find updated recipes here. Step one is to make a brewing stand. This is done by combining a blaze rod and three cobblestones. Blaze rod can be obtained in the nether world by locating a nether fortress and then a blaze spawner. Upon killing blazes, they will occasionally drop a blaze rod for you. The top is where you put your ingredients, and the bottom is where the bottles go. You will need to fill your glass bottle with water – this is the starting recipe for every potion. 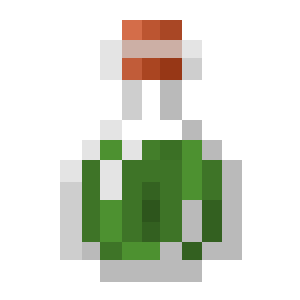 To create a potion, first fill the bottle with water as mentioned and then add the ingredients one by one. You can make three potions at a time. To use a potion, hold your right mouse button while holding the potion. If you have created a splash potion, just throw the potion. There are 4 tiers of potions, only I and II is brewable (e.g. : Speed I and Speed II). Take any potion and add gunpowder to it. This will make it throwable. 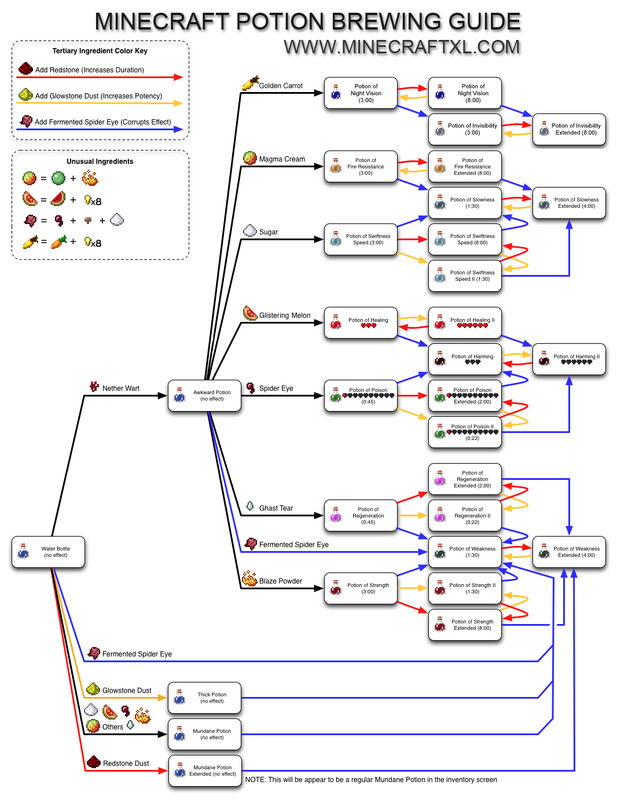 Mojang has made a nice chart, where you can see all the potions and how to make them. A user named KodekPL has also made a nice scheme / chart of the potion system. 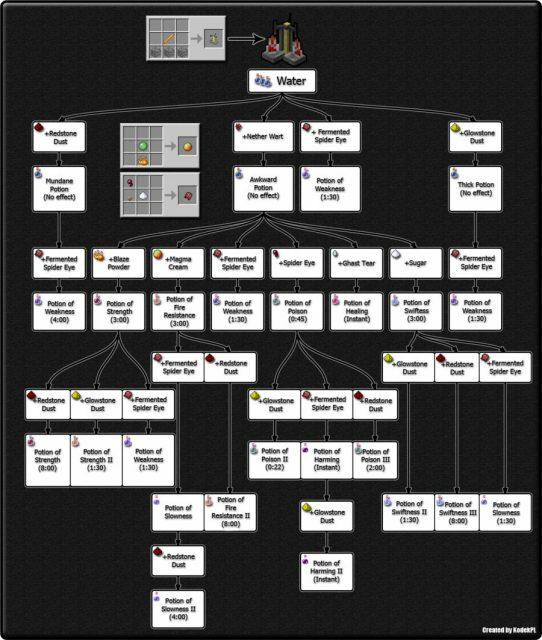 You find an image of the Minecraft Alchemy Scheme below.